Rickie Anderson, 46, has appealed his property assessments four times. A 2003 appeal helped him save $500 on his tax bill. Families with low to moderate incomes could be hit the hardest if Cook County’s controversial property tax cap is not renewed in 2006, sources say. Some fear longtime residents, particularly those living in gentrifying black neighborhoods on the South Side, will eventually be pushed out by spikes in their property taxes. Cook County Assessor James Houlihan says his 2003 measure, which capped annual increases of taxable assessed value at 7 percent for many homeowners in the county, provided much-needed relief to residents on the South and Near West sides where waves of high-priced condominiums and townhouses have driven up the property values for longtime residents. Those areas have witnessed some of the county’s most dramatic assessment increases in years, Houlihan said. According to the Chicago Association of Realtors, the average sale price of a home in the Oakland community on the South Side, for example, was $76,000 in 2000. By 2004, it was $237,500. While property taxes on the North Side are typically much higher, the rising property values on the South Side have led to more dramatic increases in assessments—and, ultimately, property taxes. Median assessments for both the Gap and Bronzeville neighborhoods on the South Side more than doubled from 2000 to 2003, according to the assessor’s office. The assessments, which are used to calculate what homeowners pay in property taxes, are performed in Chicago every three years. Even without an increase in the tax rate, steep increases in assessments may lead to significantly higher property tax bills. “More working families really don’t have incomes [that] can keep up with significant increases in property taxes,” said Ralph Martire, executive director of the Center for Tax and Budget Accountability. A recent Chicago Reporter analysis of 2004 wage estimates from the U.S. Department of Labor shows that wages for nearly half of those earning below the citywide median haven’t risen as fast as inflation since 2000. Houlihan reported that the median assessment for Washington Park increased 70 percent from 2000 to 2003. Carter said her tax bill has increased by almost $1,000 since 2000. Last year, she paid $1,300, but, had Carter not appealed her assessment, she would have paid $1,600. This year, she paid $1,600. More South Side residents are appealing their assessments. Rickie Anderson, 46, has done it four times. 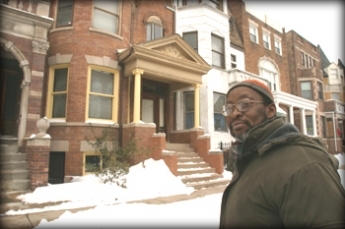 Even though he won his 2003 appeal, he’s frustrated with the ever-increasing taxes in his Washington Park neighborhood. “It’s crazy. I think it’s a matter of the [county] just wanting to gouge the people out of money,” he said. With the help of a friend at the assessor’s office, Anderson obtained tax sheets that included the tax amounts his neighbors paid. When he appeared before the Cook County Board of Review, Anderson brought photographs of the comparable homes and the information he’d gathered. The appeal reduced his property taxes by $500, he said. A member of the Washington Park Court Property Owners and Neighborhood Club, Anderson questioned why he should have to gather evidence to appeal his assessments every year. He said the neighborhood club has even discussed taking two busloads of residents downtown to protest the rising assessments. In the square-mile section of Hyde Park township, where Anderson and many other Washington Park residents live, the number of assessment appeals grew from 17 in 2000 to 153 in 2003, one of the city’s highest increases. 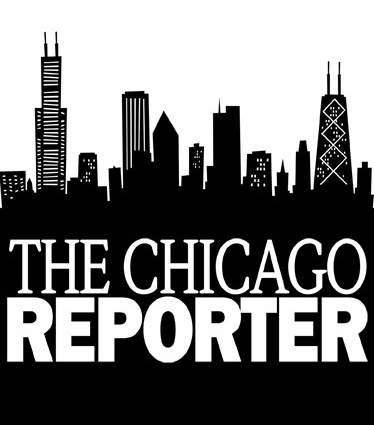 In 2003, the last time properties were assessed in the city, the board granted almost 70 percent of the more than 40,000 appeals submitted by Chicago residents. That was nearly twice the amount of appeals submitted in 2000. But assessment appeals are still more popular on the North Side. Nearly 59 percent of the city’s appeals came from the Jefferson, Lake View, Rogers Park and North Chicago townships, which make up most of the North and Northwest sides. About 26 percent of the appeals were from residents in the Lake, Hyde Park and South Chicago townships, which cover the South and Southwest sides. On average, Chicago homeowners whose appeals were successful in 2003 reduced their assessments by $4,400, records show. Houlihan maintains that his 7 percent cap has reduced the tax burden citywide but particularly for Anderson and other South Side residents. Taxes for South Side residents were about $100 to $200 lower in 2004 than in 2002, according a report Houlihan issued in the fall to support keeping the cap. But local businesses argue that the cap shifts more of the property tax burden on their shoulders. The Chicagoland Chamber of Commerce opposes the cap and has even filed a lawsuit challenging the measure. The cap doesn’t actually freeze assessments but grants homeowners an expanded homeowners’ exemption which, in most cases, keeps the taxable assessed value of their homes from increasing more than 7 percent. However, since the exemption limit is $20,000 of taxable assessed value, residents with expensive homes are likely to see assessment increases greater than 7 percent. The cap will expire in 2006, but Houlihan hopes that the Illinois General Assembly will vote to make the cap permanent. “We hope it will be addressed during the spring legislative session,” said Maura Kownacki, a spokeswoman for the assessor. Even if Houlihan’s measure is not championed during the spring, the issue relates to a growing debate over school funding reform. Last year, legislators mulled over a pair of bills that would have transferred some of the school funding burden from property taxes to state income taxes. The bills would have lowered property taxes statewide but would’ve increased state income taxes. Neither bill passed. Property taxes are a main source of funding for public schools. Many got behind the idea of a property tax cap for Cook County in 2000 when some Chicago neighborhoods first started witnessing large assessment increases. Without the cap, Head said the effects of rising assessments will be much worse in 2006 than they were in 2000.